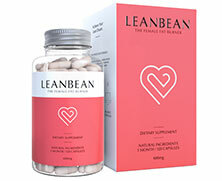 Leanbean is a diet supplement specially designed for women who need to lose weight. It’s a vegetarian friendly diet pill powered by natural ingredients and it does not contain any added caffeine or other stimulants, so it’s pretty much suitable for all. Allegedly the go-to-supplement of female fitness models, Leanbean certainly appears to have a lot to offer if you are a woman who needs to lose weight. For one thing, the formulation contains a greater variety of appetite suppressing ingredients than any other diet pill on the market. Research shows women find it harder to resist hunger than men do, so adding plenty of hunger suppressants was a very good move. Menopausal weight gain is another problem that’s exclusive to women and the Leanbean formulation is designed to offer menopausal women the extra support they need. 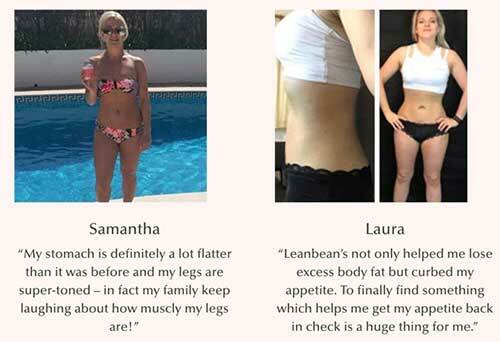 Customer reviews for this product are first-rate and, although it has only been available since 2017, Leanbean has already helped numerous women, of all ages, to turn their lives around and lose weight, so first impressions are very good. One capsule should be taken before breakfast. Another is required before lunch. A third capsule has to be taken during the afternoon and one more is needed just before eating your evening meal. Green Tea (200mg): A popular metabolism booster and thermogenic fat burner that has proven capabilities. Numerous studies prove green tea works and some research suggests it can go on delivering its benefits for up to 24 hours. Green Coffee Bean (6000mg): Green coffee bean extracts provide a fat burning chemical called chlorogenic acid. Apart from burning fat, this versatile component helps prevent the elevations in blood sugar and insulin levels that can bring on sudden desires to eat. Acai Berry (800mg): A hunger killing berry extract that accelerates the metabolism and is naturally rich in antioxidants that can help protect the body from disease. Glucomannan (500mg): A super-absorbant natural fibre taken from the roots of a plant (konjac). When glucomannan is taken with water it expands in the stomach and makes it feel full. It’s ability to do this has been proven by science and taking glucomannan is also good for keeping cholesterol levels in check. Garcinia Cambogia (400mg): A tropical fruit extract. The hydroxycitric acid (HCA) it contains assists the weight loss process by suppressing hunger urges and discouraging the body’s natural tendency to store excess calories as fat. Raspberry Ketones (8mg): A fat burning fruit extract with proven capabilities, raspberry ketones is a versatile ingredient that also helps people to lose weight by dulling the desire for food. Cayenne Pepper (60mg): Cayenne is a red pepper that’s highly respected for its fat burning capabilities. However, the results of two clinical trials conducted in Canada show the capsaicin provided by cayenne is good for suppressing the appetite too. Vitamin B6 (3.72mg), Vitamin B12 (6.4ug): Two Red Bull ingredients that help the body extract energy from food. These two B Vitamins offer additional value here because they have the ability to help regulate oestrogen levels and alleviate symptoms of menopause—including irritability and weight gain. Chromium (120ug): A mineral that improves insulin sensitivity and helps with glucose control. It’s presence here should reduce sudden desires to eat sweet food. Turmeric Powder (200mg): The curcumin provided by turmeric assists weight loss by boosting the metabolism. Research shows supplementing with curcumin can also be an effective way to alleviate the symptoms of PMS. Black Pepper Extract (20mg): An ingredient that has probably been added to boost the effect of Turmeric. The body finds it difficult to absorb the curcumin provided by turmeric, black pepper contains an alkaloid called piperine that has been proven to boost curcumin absorption by up to 2000%. None of the ingredients used in Leanbean are likely to cause problems, but the product is not intended for women who are pregnant or nursing a child or for people who are are under 18-years of age. Potential users who have existing health issues are advised to ask their GP for advice prior to using Leanbean or any other supplements. Potential users who are using medication or planning on using two or more supplements at the same time, would also be wise to seek the advice of their GP before supplementation is commenced. 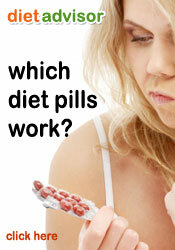 A lot of diet pills are alleged to be formulated specially for women, but most of the time it’s just marketing hype. 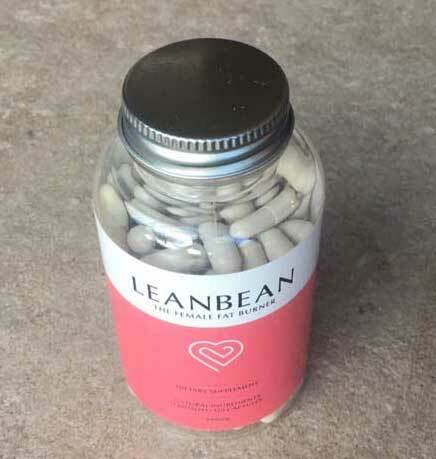 It takes more than a pink label and a few empty promises to make a good diet pill for women and we are happy to say Leanbean fat burner is the real deal. The formulation has been specially designed to provide women with the strong appetite suppression they need, has some excellent fat burners, and should be capable of doing all the other things it’s been designed to do. Leanbean is a pretty amazing diet pill and the fact that it offers additional support to women who are struggling with their weight due to the menopause makes it the perfect diet pill choice younger and older women alike. Leanbean is exclusive to the Leanbean website. This means there can be no shopping around, but it’s a very reasonably-priced and multi-buy discounts and incentives are normally available to further sweeten the pot. Buying directly from the manufacturer also allows customers the security of knowing they are ordering the genuine product and customers who buy Leanbean are also offered a 90-day money back guarantee.